UK-based challenger bank Countingup has launched a mobile-based business current account for sole traders. 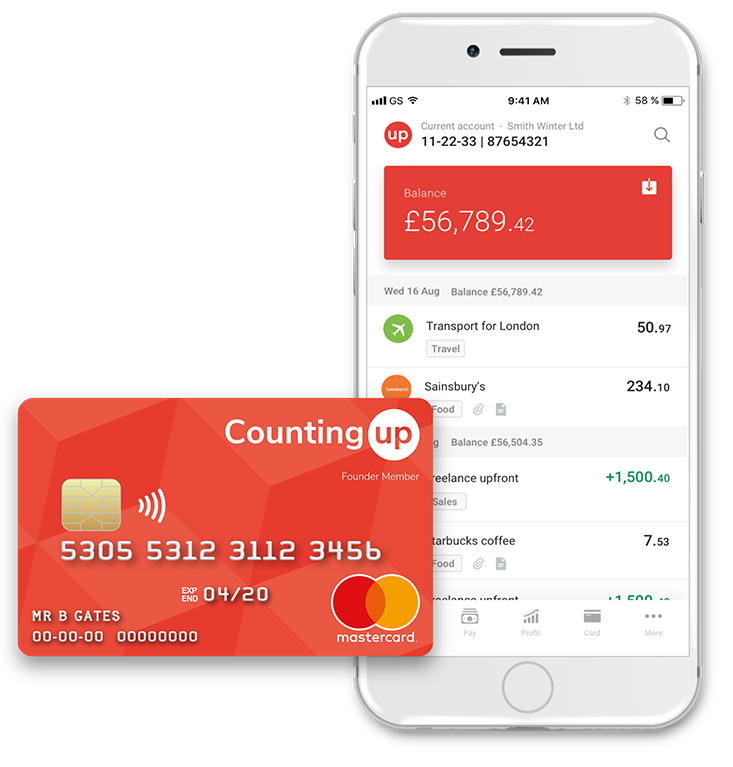 Countingup says it is “the first UK challenger bank to focus on the 4.5 million sole traders, freelancers and contractors; and the first to promise plug and play accounting built in”. The account comes with a UK sort code, account number and a contactless Mastercard, and takes just five minutes to open on a smartphone. Tim Fouracre, the company’s CEO and founder, feels “sole traders have been neglected by the mainstream banks who focus on larger businesses”. He describes the process of setting up a business account with legacy banks as “arduous, slow and expensive”, and as a result, sole traders often resort to using personal accounts. According to Fouracre, Countingup is “the fastest challenger bank to launch in the UK” – it has taken just over four months from inception to launch of the business current account. There are plans to roll out the accounting functionality in 2018. The vast majority of small businesses in the UK do not use accounting software, he explains, so they miss opportunities to improve business profitability, as their only engagement with their business finances is usually at the end of the tax year. Countingup aims to be “accounting and banking in one place for sole traders”. It was founded in 2017 by Fouracre, who is a chartered accountant. Previously, he founded and ran Clear Books, a cloud-based accounting software company. Want to know who’s who in the challenger bank space in the UK? Our comprehensive list is here.